As I watched the field rapidly fill with water on Boxing Day and all the things we had built over the last two years become engulfed with water from the Ellerbrook, it was difficult to imagine how anything would survive. The small pallet fenced enclosure that surrounded the beehives gradually disappeared below the water and I thought that was that. 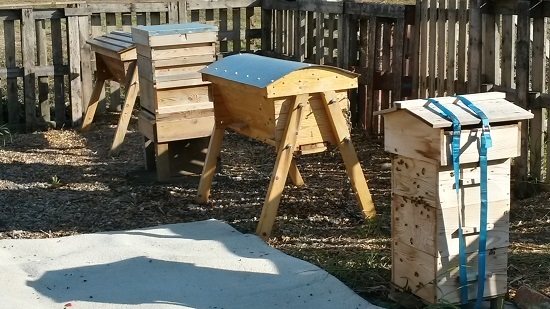 We had five bee hives on site, three with active swarms in them. We knew it had been a good year for honey production but we left the honey for the bees to eat during the winter as two of the hives were new colonies. We all became excited the following day when one of our beekeepers, Andy Becksmith, said a hive had been found on the banks of the Ellerbrook. He met a couple who had seen it floating on its back in the water and had pulled it to safety. When Andy got to the hive, amazingly bees were flying in and out. 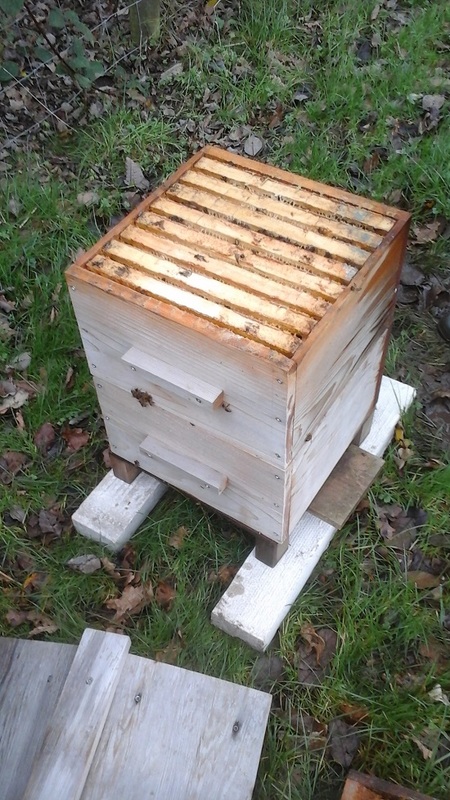 It seems, because the hive had been ‘strapped up’ for the winter, it all stayed in one piece and floated on its back like a raft through the water. If the hive had tipped any other way than on its back, it would have filled with water and all the bees would have been drowned. He planned a rescue operation the next day and returned to recover the hive. 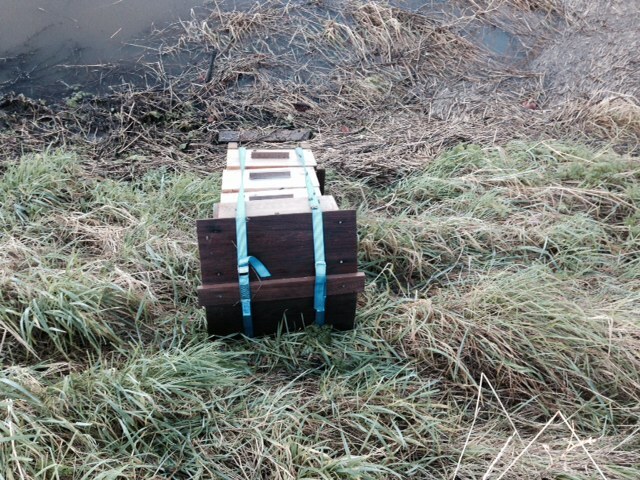 The hive has now been taken to the garden of Andy’s father-in-law a few miles away. Andy said, “There was a good handful left, approx 200 bees. The hive has been rebuilt and dried out where possible. We fed the bees and will carry on doing so for couple of weeks. They stand a reasonable chance but will need supporting. Hopefully the queen is intact, it will come down to the weather and how long winter lasts. Hopefully they can return to the field in spring." Like some of our chickens, it seems that the smallest of animals can also be amongst the toughest. Keep track of our progress by receiving our newsletter. Please sign up here, you can opt out at any time. What Shall We Call The New Lake?